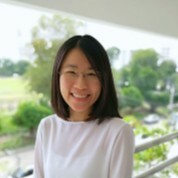 She is currently a PhD student at London School of Hygiene & Tropical Medicine and a research fellow at International Health Policy Program (IHPP), Ministry of Public Health, Thailand. Her PhD study focuses on understanding the use of antibiotic in the swine production system in Thailand. She received her DVM and also a post-graduate degree in pathology from Chulalongkorn University, Thailand. Six years as a wildlife pathologist at the Zoological Park Organization, she contributed to the understanding of wildlife diseases, informed prevention and treatment policies including the development of molecular laboratory for the diagnosis of Chytridiomycosis in amphibians, the establishment of Thailand Elephant tuberculosis Task Force. Also, she was a program manager for the Field Epidemiology Training Program for wildlife veterinarian in 2010-2012. She joined the fellowship program at the International Health Policy Program in 2013 and started a career in health policy and systems research focusing the interface between human, animal and eco-system. She conducted several research projects such as "One Health” policy analysis, Thai hospital governance, strategic purchasing and universal health coverage. With her keen interest in the “One Health” approach, she had involved in Antimicrobial Resistance works since 2015. She is an active member of the working group on Health Policy and Systems Research on AMR—a multisectoral, multi-disciplinary platform addressing AMR in Thailand. This working group contributes significantly to the establishment of a national M&E platform, in particular the national surveillance of antimicrobial consumption and monitoring Thai households’ knowledge about antibiotics and AMR awareness.